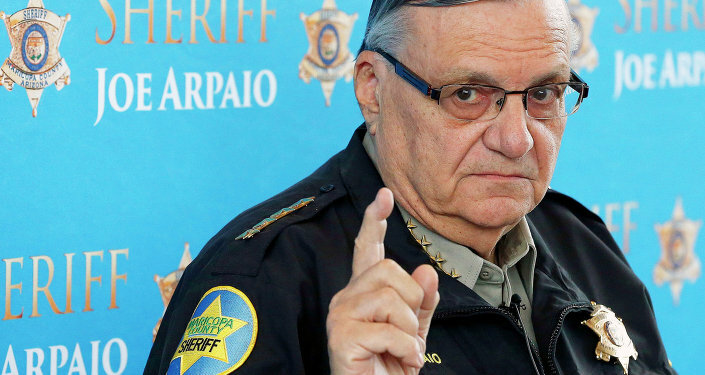 US President Donald Trump’s decision to pardon infamous Arizona ex-Sheriff Joe Arpaio, a man who dubbed himself “America’s toughest sheriff,” continues to stoke outrage as allegations of racial profiling and torture linger around the 85-year-old lawman. Radio Sputnik’s Loud and Clear speaks with Caroline Isaacs, Arizona program director at the American Friends Service Committee, and Isabel Garcia, co-founder of Coalición de Derechos Humanos (Coalition of Human Rights), about Arpaio’s pardon and how it has impacted undocumented communities in the US. On August 25 Trump wrote on Twitter, "I am pleased to inform you that I have just granted a full Pardon to 85 year old American patriot Sheriff Joe Arpaio. He kept Arizona safe!" 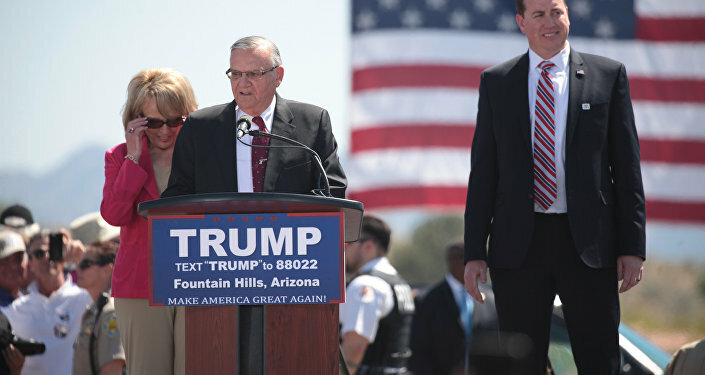 ​In the interview Garcia called the pardon "an outrage," saying that the words "patriot" and "safe" are the exact opposite of Arpaio’s character. "He is hardly a patriot: he is a human being who terrorized families in the Maricopa County area. We’re talking about people who are criminalized, who can never come back, we’re talking about people who were deported and died crossing back to join their families," she said. "We’re talking about a human being who really is a sadist, who decided to cash in on undocumented immigrants to make not only his fame, but his fortune, because he has received money from the most racist human being across the state." She pointed out the hypocrisy of Trump citing the importance of law and order in his presidency while praising Arpaio, who ignored a court order to stop targeting immigrants during traffic patrols. Isaacs noted that Arpaio had established a reputation for abusing his authority well before he decided to “cash in” on racist sentiments aimed at undocumented immigrants. She pointed to recent reports of people being tortured to death at the Maricopa County Jail as well as Amnesty International’s reports on human rights abuses at the facility. "The criminalization and abuse of immigrants was just the latest chapter in this individual’s abuse of power, and it’s the ultimate insult to the people of Arizona and the people of this country to see someone who flouted the law in such a way being given a pass," Garcia said, adding, "And finally, years later, there appeared to be some modicum of justice for this person, and it’s all been taken away by a presidential pardon – that’s unprecedented." According to Garcia, a major issue in support for Arpaio that US citizens misunderstand the driving force behind immigration issues, which are usually framed around negative images of individual immigrants, instead of acknowledging the ravages of Washington’s foreign policy. "We as a country are ignorant of our history of immigration," she explained. "People just think, 'Mexico and Central America, they’re inferior, they’re violent, they’re drug addicted, they can’t take care of themselves,' instead of understanding that US policy has contributed mightily to immigration flows." "And how dare the politicians, including Trump, get up and say that they’re invading our borders, when the US invaded their countries in so many ways, forcing that kind of migration into the United States?" Arizona itself was once part of one of those countries the US invaded: it was part of Mexico’s Alta California province until the United States seized it in the Mexican-American War in 1848.